KUALA LUMPUR (Apr 17): DRB-Hicom Bhd said its wholly-owned subsidiaries, Proton Holdings Bhd and Lotus Group International Ltd, has formed a joint venture with Goldstar Heavy Industrial Co. Ltd of the People's Republic of China (PRC) today, to produce and sell LOTUS branded passenger cars in China. "Proton and Lotus had on April 17, 2015, entered into an equity joint venture contract with Goldstar to form a joint-venture company to be named as Goldstar LOTUS Automobile Co Ltd (JV company)," said DRB-Hicom in a filing with Bursa Malaysia today. The JV is to produce and sell LOTUS branded passenger cars, engines, parts and components, and accessories; and provide after sales services including spare parts in China, it added. DRB-Hicom said the JV would enhance sales of Lotus branded vehicles in China and allow it to capitalise on the continuous growth in the premium vehicle market in the country. Lotus is a wholly-owned subsidiary of Lotus Advance Technologies Sdn Bhd, which in turn is a wholly-owned subsidiary of Proton. 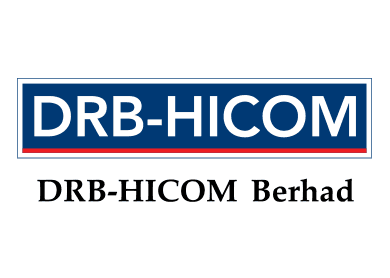 DRB-Hicom (fundamental: 1.25; valuation: 2.6) said Proton group and Goldstar will each hold 50% of the registered capital of the JV company. Based on the mutually-agreed initial business plan from 2015 to 2030, Proton group and Goldstar expects the total investment sum to be RMB10 billion (RM5.84 billion), it added. With the total investment sum for the initial stage of RMB2.7 billion (RM1.58 billion), the registered capital for the JV company during the initial stage is RMB900 million (RM525.7 million), DRB-Hicom said. It noted however that the total investment sum will be increased from RMB2.7 billion during the initial stage to RMB10 billion during the second stage. The JV's company business will be divided into two parts, where the initial stage will see the research and development on the production of whole vehicles, production, distribution and sale of vehicle parts being undertaken. Whereas the second stage would be carried out within 24 months after the business licence is obtained by the JV company, and the unanimous approval of the board of directors is given, it pointed out. Goldstar was incorporated as a limited liability company in the China on May 16, 1997, and has a registered share capital of RMB168.8 million, it said, noting that its principal activity is research, design, manufacture and sale of automotive parts, components and related equipment, it added.